Are you ready for November Math? 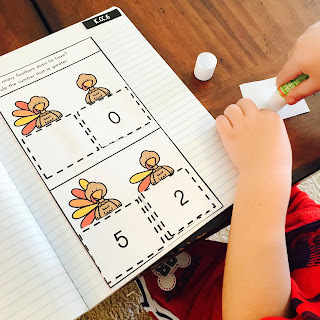 Do you need some Math Activities for your Kindergarten students to practice skills with? 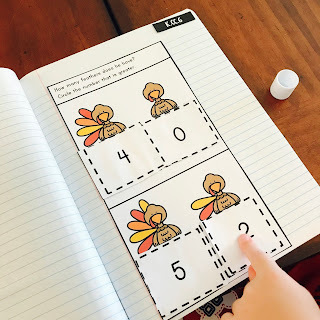 This is a great activity to engage students in cutting, pasting, and actively using their Math skills to complete these Interactive Math Notebook activities. They are great for Math Journals or Math Interactive Notebooks. My son loves doing these and practicing his Math skills with his notebook. Simply PRINT, & GO! These activities are great for practice and review. After the activities are completed, we go back and review previous skills practiced. 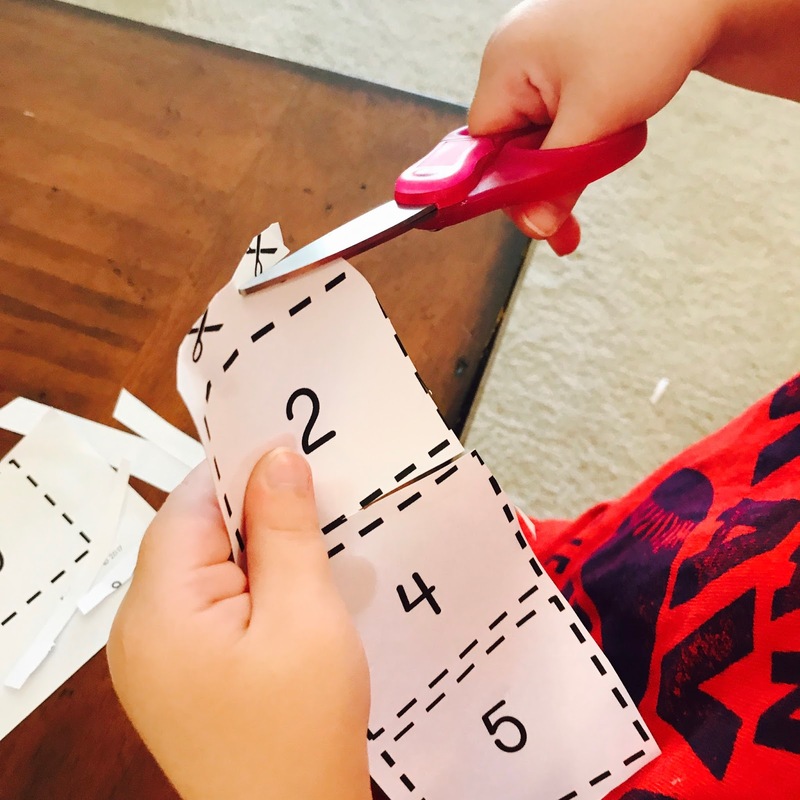 The only materials needed are a pencil, glue stick, and scissors. You can print in Color or Black & White. Always going back and reviewing past student work is great not only for review, but it also allows time for students to take pride and ownership in their work. We often forget what we have done or know, and this is a great way to SHOW students what they know and refresh their memories. There are many different ways that you can use Math Journals or Interactive Notebooks to enrich your students' curriculum. 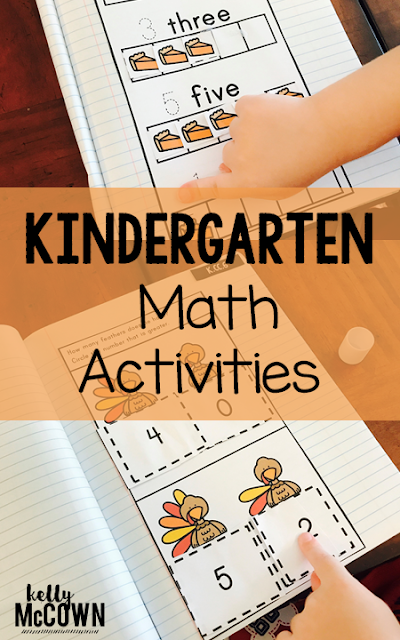 These activities can supplement any Kindergarten curriculum. You can use them for classwork, homework, morning work, substitute work, and there are many more teachers have used these for. CCSS.Math.Content.K.OA.A.3Decompose numbers less than or equal to 10 into pairs in more than one way, e.g., by using objects or drawings, and record each decomposition by a drawing or equation (e.g., 5 = 2 + 3 and 5 = 4 + 1). 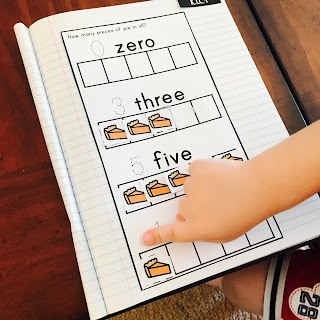 CCSS.Math.Content.K.CC.A.3Write numbers from 0 to 20. Represent a number of objects with a written numeral 0-20 (with 0 representing a count of no objects). CCSS.Math.Content.K.CC.B.4Understand the relationship between numbers and quantities; connect counting to cardinality. 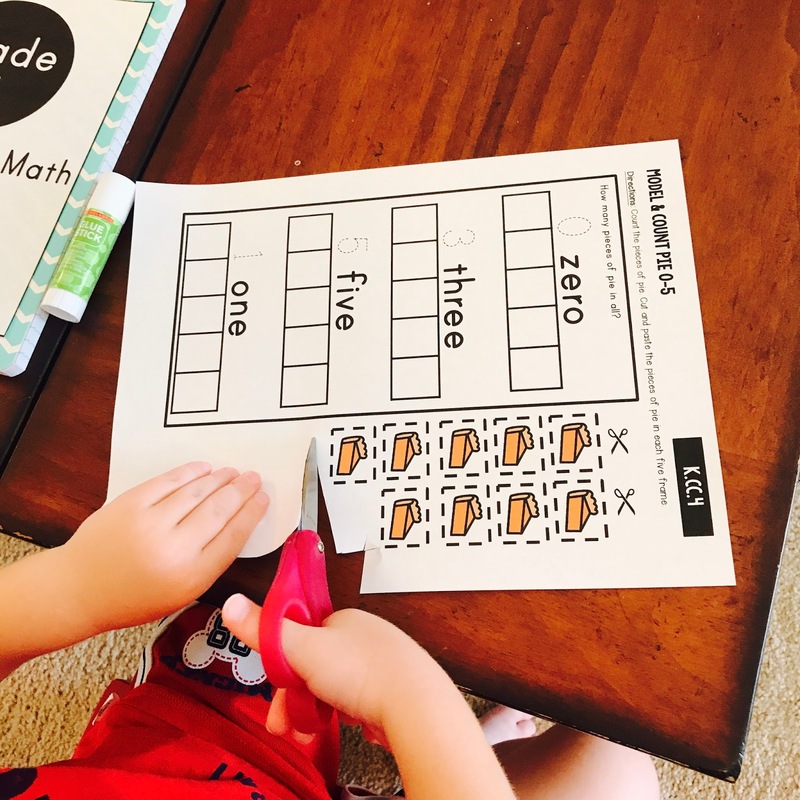 CCSS.Math.Content.K.CC.B.5Count to answer "how many?" questions about as many as 20 things arranged in a line, a rectangular array, or a circle, or as many as 10 things in a scattered configuration; given a number from 1-20, count out that many objects. CCSS.Math.Content.K.CC.C.7Compare two numbers between 1 and 10 presented as written numerals. 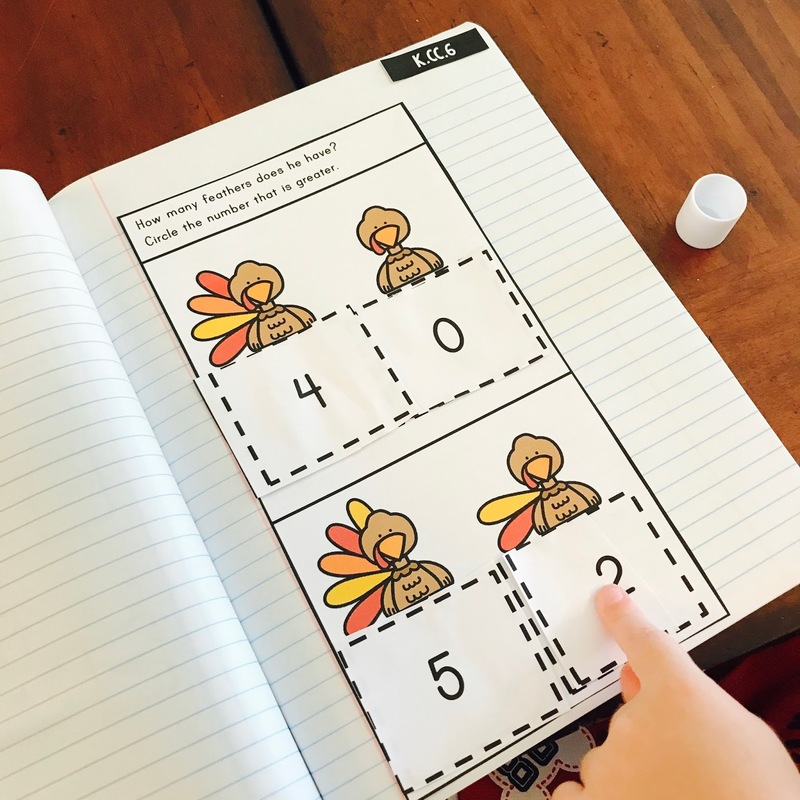 These interactive notebook activities are intended to help students understand how to decompose numbers less than or equal to 10 into pairs in more than one way, write numbers from 0 to 20, understand the relationships between numbers and quantities, count “how many?”, identify whether the number of objects is greater than, less than, or equal to, and compare two numbers between 1 and 10. 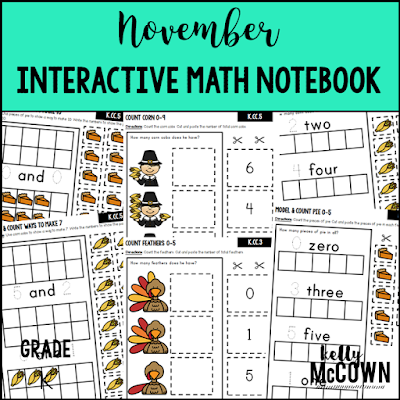 I hope your students enjoy learning with their Interactive Math Notebooks too.